Doom 3 really leaked by ATI? There are a few things I would like to say about this Doom 3 Leak. First of all I wish to remain ANONOMOUS, even this email address! Here is some more information to add to your article, and to update the public. 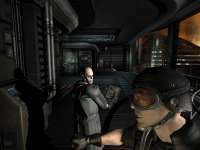 The doom 3 was leaked by ATI but we have no gotten in touch with them fully. There seems to be a link to the Zelaron gaming forums (www.zelaron.com/forums), either they got it first or a member there got it first. Also there is a link to a site called Iownjoo.com. We are asking people what they know about these sites and if they can help hunt down the people who originally got it. 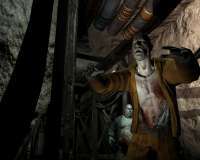 Re: Doom 3 really leaked by ATI?